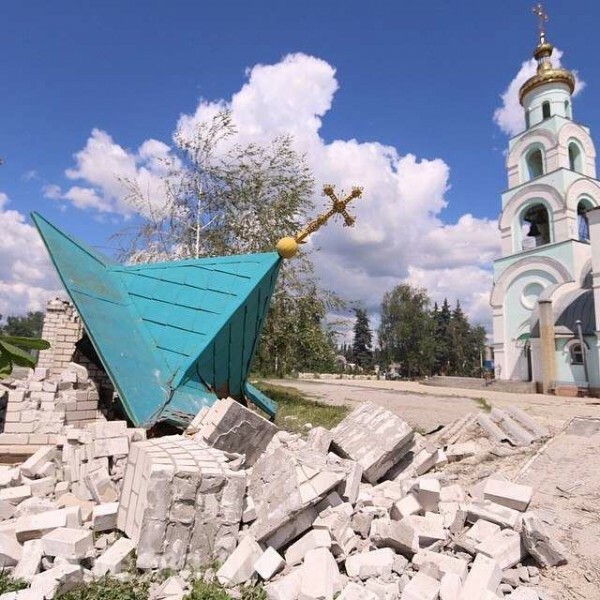 Moscow, June 16, Interfax - Monday night, St.Seraphim Church in the village of Cherevkovka not far from Slavyansk was subjected to shelling. Several shells fell down on the church yard. The chapel and canteen were fully destroyed,Lifenews reports. According to the people’s guards, Cherevkovka was bombed with 122 ml shells from howitzer D30. Late in May, another church – the Church of the Derzhavnaya Icon of the Mother of God in Slavyansk was damaged. A mine exploded in 10 meters from the church. Five windows were blown out, a part of facade and the church fence were damaged.